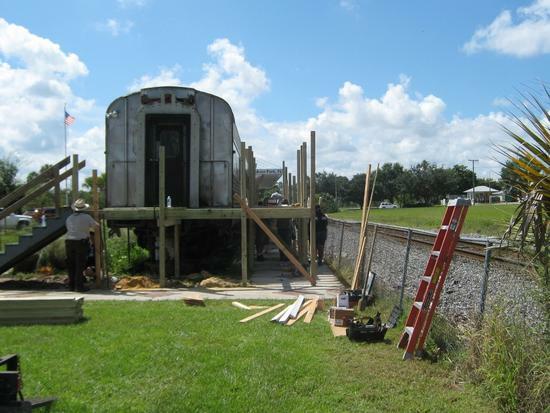 Under the direction of the Avon Park Rotary, construction on the Handicap/Access ramp began in September 2013. Several years in the planning and fund raising stages it has finally become a reality. Bagwell Lumber provided the building materials at reduced cost. 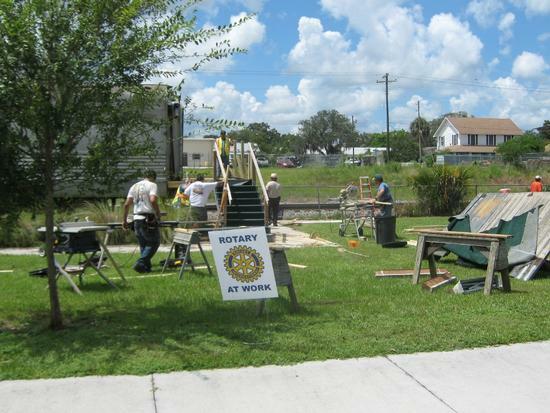 Volunteers from the Avon Park Rotary, Habitat for Humanity, AP Correctional Facility and other volunteers. A view from the north end as construction is under way. Making its way down the Silver Palm Dining Car. This is what is holding it all up! Reaching the bottom and nearing completion. Major construction completed..only needing a few finishing touches. Historical Society board members "supervising" the project and making sure the workers were happy and well fed..Kathy Johnson, Jim Deal and Jean Jordan. Roberta Flowers, HSAP board member takes the first official walk on the new handicap/access ramp on the Silver Palm Dining car that sits adjacent to the museum. 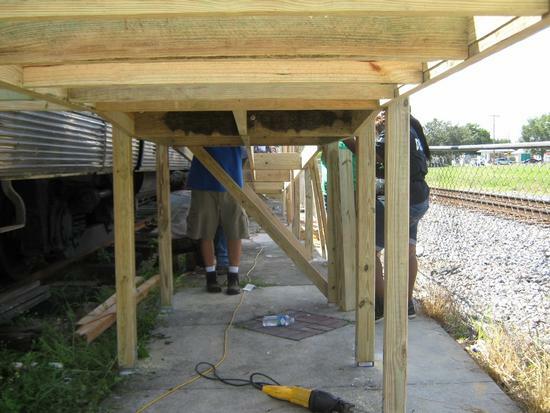 This was constructed in September 2013 by volunteer help from the Avon Park Breakfast Rotary members, Habitat for Humanity and inmates from the Avon Park Correctional Facility. Individual volunteers also assisted the construction. Carl Cool and Associates provided the design plans to meet all legal requirements for handicap access. 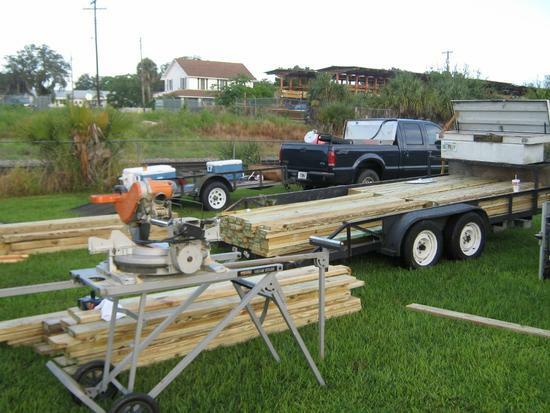 Bagwell lumber provided building materials at reduced cost. Long in the planning stages and finally a reality, it is now possible for everyone to safetly enter and exit the dining car. The Silver Palm Dining Car is not open to the general public but is available for private functions by reservation. A seating capacity of 40 makes it adequate for many events. 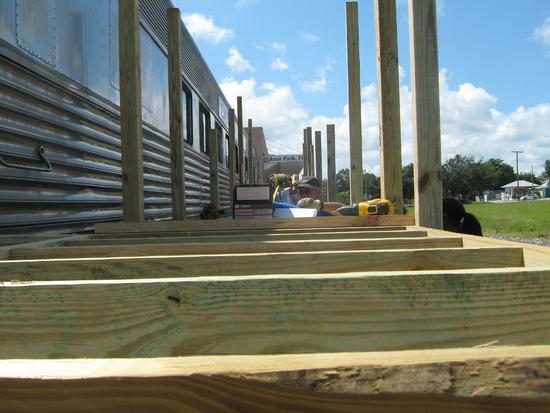 Additionally, the dining car is in full compliance with the Florida Department of Health regulations and the volunteers that staff the events have completed the required hours for safe food handling to the public.